Move to the Center of it All. Domain City Center Luxury Apartments in Lenexa, Kansas offers premier apartment homes. Designed to improve the way you live, our spacious apartments host sleek finishes and high-end features. With an unbelievable selection of unique floor plans, we guarantee that you will find everything you could possibly desire underneath one roof. 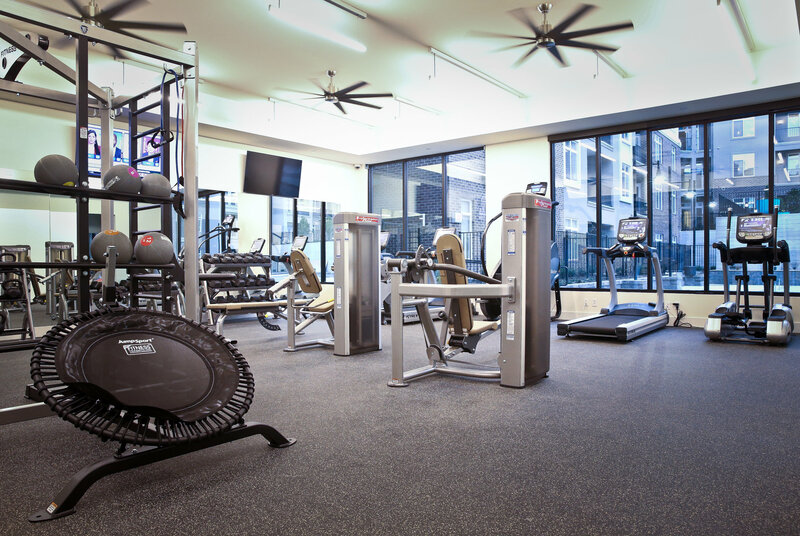 Outstanding apartment amenities will keep you connected with your fellow residents while providing you with a central place to completely recharge. We are conveniently located near major highways, allowing you to navigate Lenexa with relative ease. Best of all, your new, luxury apartment home is in the center of Lenexa's new City Center, which boasts exceptional shopping, dining, and entertainment opportunities. Start living life in "The Center of it All" at Domain City Center Luxury Apartments. Located along Interstate 435, Domain City Center Luxury Apartments boasts a central location in the heart of Lenexa, Kansas. Our apartment community provides residents with close proximity to Shawnee Mission Park, a 1600-acre green haven that offers boating, fishing, and nature trails. If you prefer indoor recreation, our community is in the center of Lenexa's City Center, next to the new Lenexa Civic Center, a community recreational facility, which features an auditorium, aquatics area, and public and farmer’s market. After a day of recreation, you will take comfort in the fact that the area is populated by an array of restaurants, serving every type of cuisine that could possibly be concocted: indulge in famous Kansas City barbecue or authentic Mexican, in addition to Grand Street Café and Saints Pub + Patio, which are located near our apartment community. Whether you choose to enjoy all of these wonderful features inside or outside of our apartments, Domain City Center Luxury Apartments has it all!